KIITEE 2019 - Kalinga Institute of Industrial Technology will hold the KIITEE 2019 entrance examination for the candidates who wish to seek admission in KIITEE. The KIITEE entrance exam 2109 will be conducted from April 15 to 24, 2019, in an online mode. The slot booking for KIITEE 2019 has started. Students who will be appearing in KIITEE 2019 can book their slot for appearing in the exam. KIITEE application form 2019 is available online from November 16, 2018. The last date to submit the application form of KITEE 2019 was April 10, 2019. Earlier, the last date to submit the applications was March 31, 2019. KIITEE 2019 is conducted by the University for admissions to the courses such as B.Sc Nursing, B.Tech programmes, M.Sc Biotechnology/Applied Micro Biology and M.Sc Nursing. KIITEE 2019 will be conducted in the online mode in the different centres for a duration of 180 minutes. Candidates who wish to apply for the different courses must make sure to check the eligibility criteria before filling in the application forms. 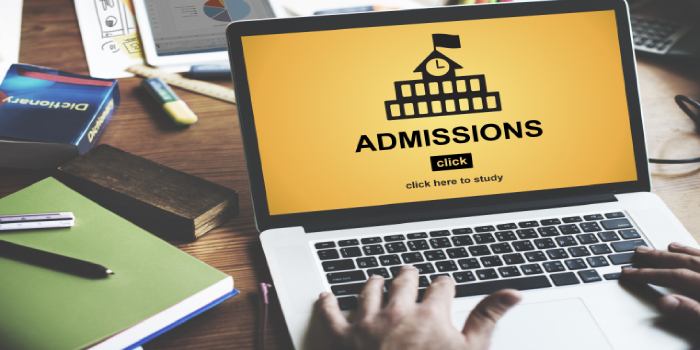 KIITEE 2019 admit card will be available online after slot booking. Candidates must make sure to carry along with them Valid photo ID proof on the day of the examination. The results of KIITEE 2019 will be released online on April 30, 2019. Scroll down to know more about the admission process of KIITEE 2019 such as application form, eligibility criteria, syllabus and exam centres. The eligibility criteria of KIITEE 2019 mentions the minimum eligibility including minimum marks and the age limit for candidates to apply for the different courses offered by the university. Candidates can check here the KIITEE 2019 eligibility criteria for each course offered. Candidates must qualify their 10+2 or equivalent examination with Physics, Chemistry & Biology and English (PCBE) Candidates must secure a minimum of 45 per cent marks aggregate. Candidates should have passed or are pursuing 10 + 2 or equivalent in a regular full-time mode. Candidates must have also scored a minimum aggregate mark of 60% Physics, Chemistry and Mathematics to be eligible. Candidates must have completed their B.Sc. Nursing/ B.Sc. Hons. Nursing or Post Basic B.Sc Nursing with a minimum of 55 per cent aggregate marks. Agriculture/ Science/ Pharmacy/ Veterinary / Technology / Engineering / Medicine (MBBS/BDS) with a minimum of 55 percent marks. The application forms for KIITEE 2019 were available online. Candidates were made sure to fill and submit the application form of KIITEE 2019 before April 10, 2019. Candidates were made sure that they fill in all the details asked for in the application form carefully. While filling the application form the candidates were required to upload a scanned image of their signature and a passport size photograph in the size mentioned in the application form. Candidates could check their application status by entering their application number which they received on the application form itself. Candidates could choose two cities of their choice while filling the application form. A particular exam centre of KIITEE 2019 could stand cancelled if the candidates who had opted for the centre is not sufficient. In such cases, the candidates who opted for that particular centre were allotted in the next centre. The syllabus for KIITEE 2019 mentions the different subjects and topics based on which the entrance test will be conducted for each subject. Candidates who wish to appear for the examination must make sure to check the syllabus and prepare themselves accordingly for the examination. The exam pattern of KIITEE 2019 states the mode of examination, types of questions and the duration of the examination. Read below the detailed exam pattern for KIITEE 2019. KIIT will release a mock test for all aspirants. The KIITEE 2019 mock test is also a demo test that allows candidates to accustom themselves with the computer-based test as well as the exam pattern of KIITEE 2019. Candidates may note that it is only for demonstrative purposes and there will be no scores mentioned. The mock test of KIITEE 2019 is just for practice purposes to indicate the type of questions expected and the exam day environment. Since the exam is online and conducted more than once each day, candidates can book the slots – date, time of the exam as per their convenience. Slot booking of KIITEE 2019 is on first come first serve basis and is available from April 01, 2019. Once slot booking is completed, candidates can download their admit card with details of the exam venue and schedule. The result of KIITEE 2019 will be released online. Candidates who appeared for KIITEE 2019 can check their result by logging in using their login details. The result will be shown in the form of scores obtained by the candidate. A rank card will be released by the university which should be produced during the counselling procedure. The rank card will show the rank obtained by the candidate according to their merit in KIITEE 2019. Candidates who qualify the KIITEE 2019 examination will be called for the KIITEE 2019 counselling procedure. Candidates must make sure to carry all the necessary documents while attending the KIITEE 2019 counselling process. Candidates will be called for counselling based on the merit and their choice of subject. Candidates will be issued with a counselling letter which they can download from the website using their login details.